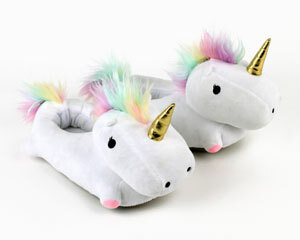 Wowwie zowwie, these slippers are wild! Are they part bear? Part monster? Part Rainbow troll? Whatever the case, they are 100% magic! 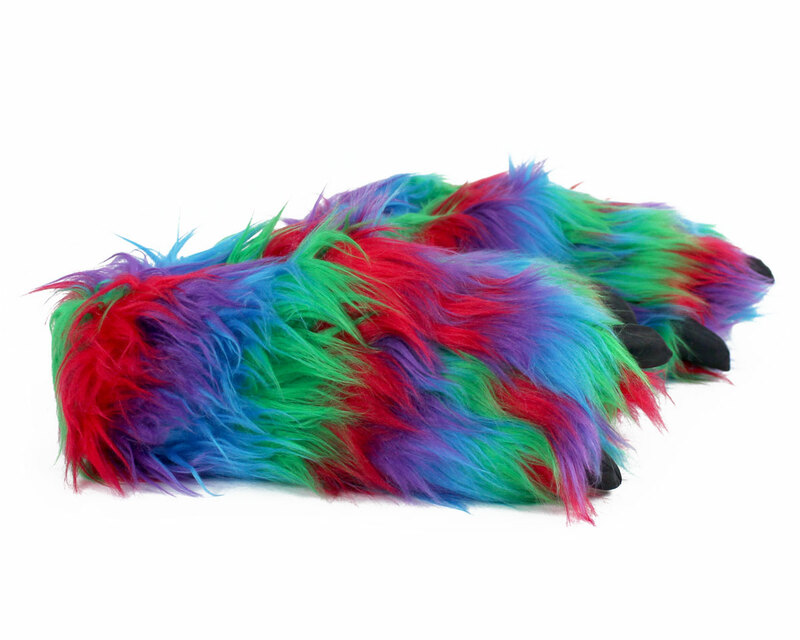 With fanciful fur in purple, red, blue and green, you can bring these babies to Burning Man, a costume party, or just wear them around your house and dazzle your family and pets. 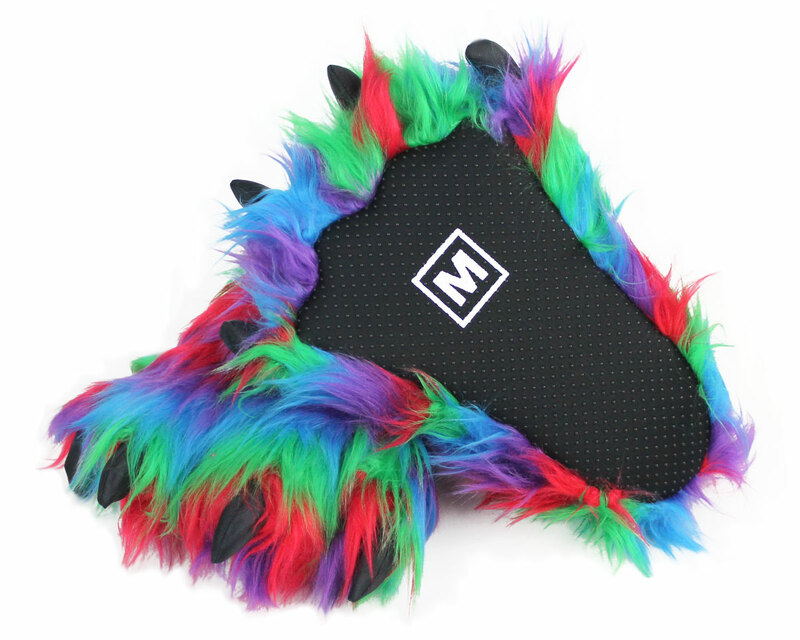 Made of soft plush uppers, a comfy foam footbed, non-slip grips on soles, and four black claws on each slipper. 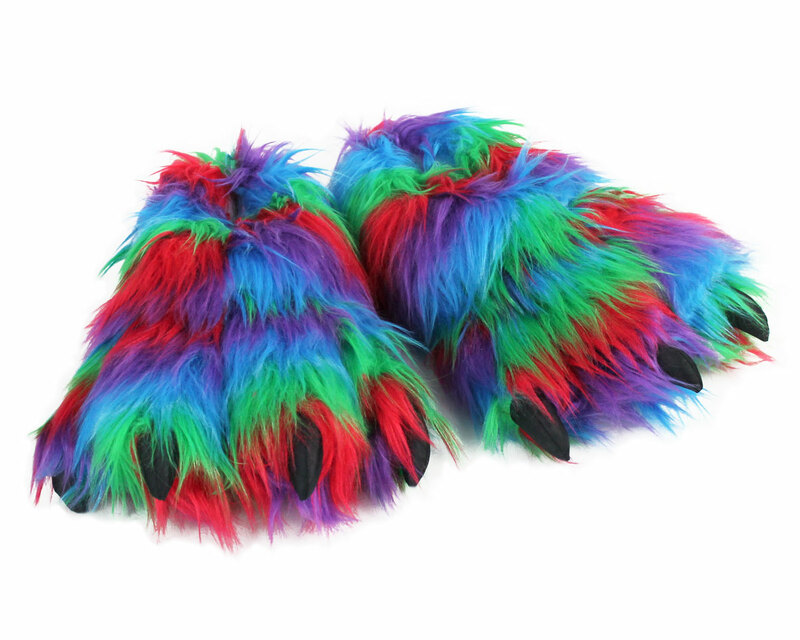 I ordered the slippers for my boys and they absolutely LOVE the slippers!! I ordered the about medium and my boys wear a youth size 2 in shoes. 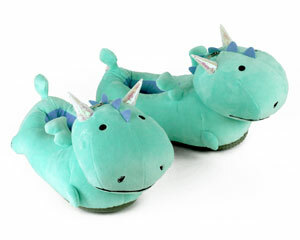 They like the slippers big! Shipping was fast and service was great!